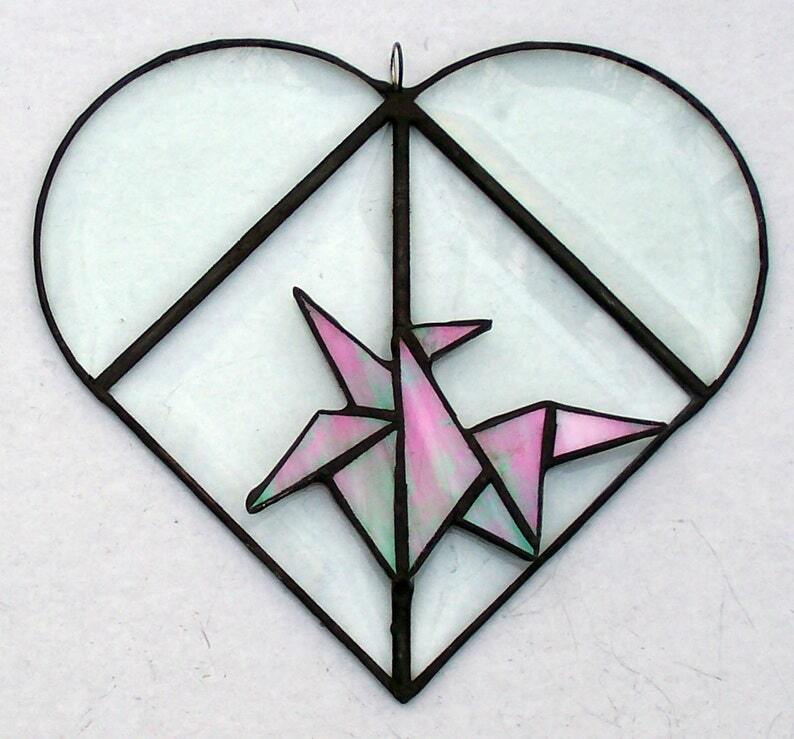 The heart, a symbol of love, is made from clear beveled glass. It measures approximately 6 X 6 inches. 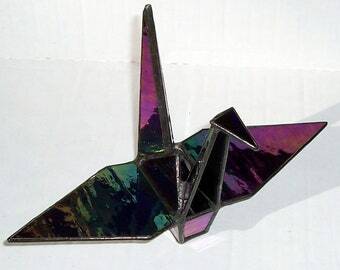 The origami crane is iridescent pink glass. 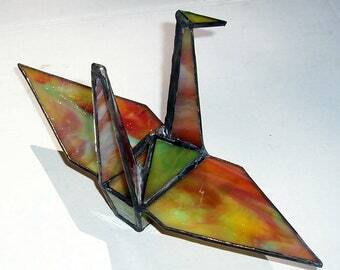 The crane represents fidelity, long life, prosperity and peace. All things we wish those we love. A perfect gift for Valentine’s Day, engagement or wdding and all year long as it casts beautiful reflections around the room, reminding your loved one of you. An original gift designed by me. Love is in the air. This Valentine’s Day, take inspiration from the oldest bird (6 million years) on earth. Talk about a mating dance, whooping cranes—which are monogamous and mate for life—bow their heads, flap their wings, leap and bounce off stiffened legs all in the effort to secure a partner. They usually have two eggs and share in raising the young. 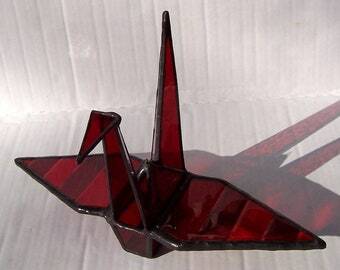 The crane is now considered an endangered species.